More than 100 Western Australian projects are competing in the state’s 2014 Architecture Awards, with the Australian Institute of Architects to announce the winners in July. The Institute says this year’s awards showcase a broad range of projects, from the largest public sector building projects undertaken in our state through to small alterations and additions. The programme evaluates all entries for the sustainability category, considering how the architects address cultural, economic and social sustainability issues, as well as environmental sustainability. 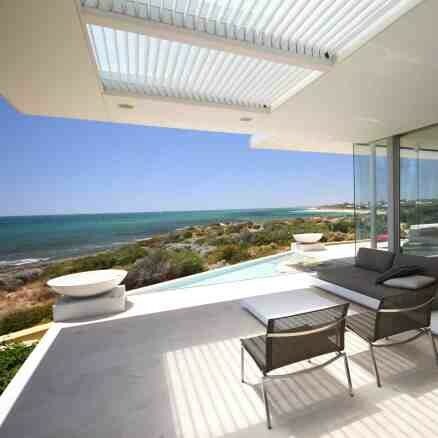 Avalon BayBeach Residence by Banham Architects is in the running in 2014. Photography: Annetta Ashman. Newly appointed Institute State President, and heritage expert Philip Griffiths, says one of the most effective sustainability initiatives in the architectural industry is the reuse of our existing building stock. Bread in Common by spaceagency. Photography: Robert Frith - Acorn Photo. Popular Fremantle kitchen and bakery Bread in Common and café, co-work and gallery space Moana Chambers are among the entries in this year’s WA Architecture Awards to showcase the active enhancement of an existing building. “The number of award entries this year in categories that include reuse of existing buildings is commensurate with the community’s growing recognition of the importance of retaining buildings. "Adapting existing buildings is a sustainable way to satisfy our accommodation, as well as social and cultural requirements into the future,” said Griffiths. Moana Chambers by Post Architecture. Photography: Thom Perry. In addition to awards given in each category, the George Temple Poole Award is presented to the project judged most worthy across the categories. In 2013 the award was presented to ARM Architecture & Cameron Chisholm Nicol – Joint Venture Architects for the Perth Arena. Perth Arena. Photography by Greg Hocking. The WA Awards winners will be announced on Thursday 3 July, 2014.